The Los Angeles Kings are incredibly not out of the wild card race in the Western Conference, but that isn’t because of any real turnaround. The team is still in last place with a 23-30-6 record and have lost five consecutive games, leading to more speculation about trade assets on the roster. The team has already traded Tanner Pearson, Nate Thompson and Jake Muzzin this year and have several others who might draw calls from around the league as Monday’s deadline approaches. One of those who is already generating interest is Kyle Clifford, according to NHL Network correspondent Dennis Bernstein and LA Kings Insider Jon Rosen. Both reporters note however that the Kings may not be jumping to move Clifford, who is having an excellent season by his standards and is one of the team’s locker room leaders. The 28-year old looks like he will shatter his previous career-high of 15 points as he now has 13 through 49 games this season. It’s his physicality and leadership, not offense, that teams would be acquiring him for though, as Clifford has never been more than a bottom-six player that gets between 9-11 minutes a night. The heavy winger could add some experience to any fourth line in the league, given his two Stanley Cups with the Kings and 55 playoff games overall. Clifford also only carries a $1.6MM cap hit this season and next, making it easy to understand why the Kings would hesitate to move him. It’s unlikely he would bring back a huge return, meaning his veteran presence may be worth more to them as they try to turn things around and install the next wave of young talent in 2019-20. For all the talk of an Artemi Panarin trade, The Athletic’s Pierre LeBrun cautions that the Columbus Blue Jackets keeping the star forward as an “own rental” is a very real possibility. Lebrun believes that it is all a cost-benefit analysis for the team, “because there’s almost no chance GM Jarmo Kekalainen simply sells off Panarin without also trying to replace him in some fashion via a separate transaction.” The Blue Jackets are on a four-game winning streak and, with a win last night over the Washington Capitals, leapfrogged their rivals in points percentage to put them on pace to finish second in the Metropolitan Division. Columbus is still searching for it’s first playoff series win in franchise history and is not going to give up all hope of that accomplishment this season when they have played so well all season and could earn a home ice advantage in the first round. As LeBrun notes, that means that if the Blue Jackets do in fact trade away Panarin, they would only do so knowing they could acquire another player of similar ability for a favorable price. LeBrun believes that Kekalainen continues to monitor the situation in Ottawa, as Senators forwards Matt Duchene or Mark Stone would be the most likely targets. However, if the Senators’ asking price for either Duchene or Stone is too similar to the return on a Panarin trade, the Blue Jackets lack incentive to shake up their roster for only a minor gain in trade capital. Most likely, this means that Panarin could stay in Columbus as an “own rental” rather than be traded if, of course, the Blue Jackets remain hot through the deadline, but also if the demand from Ottawa is more of a flip of trade assets from a Panarin deal. If the Blue Jackets cannot walk away from the deadline with both an immediate replacement from Panarin and significant future piece, it’s possible that the star scorer isn’t going anywhere until this summer. LeBrun also touches on another team having to tackle a cost-benefit analysis. The Minnesota Wild are in a tough spot; the team has been in playoff position all year, but have just one win in their past seven games since the season-ending injury to captain Mikko Koivu. At this rate, the Wild are going to miss the playoffs, as the Vancouver Canucks, Colorado Avalanche, and Arizona Coyotes are right on their tail. However, even a slight improvement could be enough for Minnesota to clinch the final wild card spot. But does that mean they shouldn’t also be sellers? LeBrun writes that without considerable improvement before the deadline, first-year GM Paul Fenton will need to seriously consider trading his most valuable rental piece, Eric Staal. Staal’s absence, especially in light of the loss of Koivu, would likely see the team fall out of playoff position. Yet, his presence likely isn’t enough to get them through the first round anyway. For what it’s worth, LeBrun adds that Staal has not made it easy on the Wild to move him. The veteran center’s trade protection includes a ten-team no-trade list, which LeBrun reports is primarily contenders. This could force Fenton’s hand when it comes to making a decision on Staal. However, even if Staal is open to a move, the team will have to consider the repercussions on their season. The return on the trade in future value would have to be worth the immense risk of missing the postseason, even with little hope of advancing. In updating TSN’s Trade Bait List, Frank Seravalli writes that interest is picking up on Ottawa Senators forward Ryan Dzingel. While the media, and seemingly the Senators themselves, have been primarily focused of Matt Duchene and Mark Stone, Seravalli notes that Dzingel is enjoying a career year and teams are taking notice. With his trade value at a new high, his cap hit still low, and no sign of an extension, Dzingel is certainly on the block and is a valuable asset and Seravalli feels that the chatter points toward a trade. He has moved Dzingel up to No. 19 on the list. Sportsnet’s Elliotte Friedman reports that Los Angeles Kings forward Kyle Clifford is a person of interest for the Toronto Maple Leafs and the two sides discussed Clifford during the recent Jake Muzzin negotiations. Toronto could go back to Clifford in their pursuit of a physical, bottom-six forward before the deadline. Like the reported interest in Luke Glendening, the only problem for Toronto when it comes to Clifford is term and salary. Clifford has just one year remaining at $1.6MM, but even that might be difficult for the cap-crunched Maple Leafs to spend on a probable fourth-liner. It remains a good potential fit, but the Leafs will likely look for pure rentals before returning to Clifford, unless the Kings are willing to retain salary. Finally some good news for the Los Angeles Kings. Today, the team officially loaned top prospect Gabe Vilardi to Team Canada for the upcoming World Junior Championship. Vilardi’s short career has been marred by injury, but he is finally healthy enough to take the next step in his development. The team also announced the recall of Sean Walker from the Ontario Reign, something that had already been reported after Alec Martinez and Kyle Clifford were left off the team’s current road trip. Vilardi had already been named to the junior selection camp roster, but there’s little doubt that he will make the team now that he’s healthy. The 19-year old forward had one assist in four rehab games with the Ontario Reign, but will likely go back to the OHL after the upcoming tournament is over. A puck-possession monster, Vilardi has huge offensive potential but was limited last season as well. Selected 11th overall in 2017, if he’s finally healthy the Kings have plenty to look forward to. Canada is a medal favorite once again, and Vilardi should be part of a forward group that also includes names like Alex Formenton and Kings teammate Jaret Anderson-Dolan who have already made their NHL debuts. Los Angeles will also likely have Rasmus Kupari in the tournament for Finland, another big part of their future. Even as the NHL club struggles near the bottom of the league, fans will have something to look forward to as they watch the next wave of talent compete on the world stage. The Los Angeles Kings are in Motown to take on the Detroit Red Wings tonight, and according to Patrick O’Neal of Fox Sports they’ll be without two more veteran players. Alec Martinez is not with the team as he deals with an upper-body injury, while Kyle Clifford has suffered a concussion and will also not play. The team has recalled Austin Wagner, while Sean Walker is also expected to be called up to join the club. The Kings have had a disastrous season so far, watching key players like Jonathan Quick and Ilya Kovalchuk go out for big stretches. That’s resulted in a tie for last place in the entire league, and a good head start in the draft lottery sweepstakes. The Kings have just 11 wins through 30 games and have scored easily the fewest goals in the entire NHL with just 67 tallies. While Clifford shouldn’t be expected to provide much offense anyway, losing him and Martinez weakens the team defense that the Kings have relied on so heavily. It appears that the season is almost already out of reach for Los Angeles, who will have to start considering big changes to their core group. The team is apparently already working the phones to make another move, but so far none of their previous transactions have brought about substantial change. While sending Tanner Pearson packing and claiming Brendan Leipsic and Nikita Scherbak off waivers certainly adds some new faces, the Kings could very well be considering some deep and profound changes before the season is out. With a divisional face-off with the Boston Bruins awaiting them later today, the Ottawa Senators have recalled veteran defenseman Erik Burgdoerfer, the team announced. The Belleville Senators’ captain has been a frequent call-up for Ottawa, but more often than not as extra security. Burgdoerfer has only played in one NHL game so far this season, despite spending more than a few games up with Ottawa. The 29-year-old has been a solid presence in the AHL, leading Belleville with a +8 rating, but has yet to earn much opportunity to display his defensive abilities for Ottawa. Perhaps that will change on this most recent promotion. Despite missing his minor league game last night due to recurring injury concerns, Gabriel Vilardi has been recalled by the Los Angeles Kings, per the AHL. Vilardi has been on a conditioning assignment with the Ontario Reign for the past few weeks, but has only skated in four games with merely one point. The 11th overall pick a year ago, Vilardi is still expected to grow into a very good two-way forward, but must first shake his injury issues. This recall could simply be to allow the Kings’ medical team to take a closer look, but hopefully it is more of a reflection of his readiness to make his NHL debut sooner rather than later. 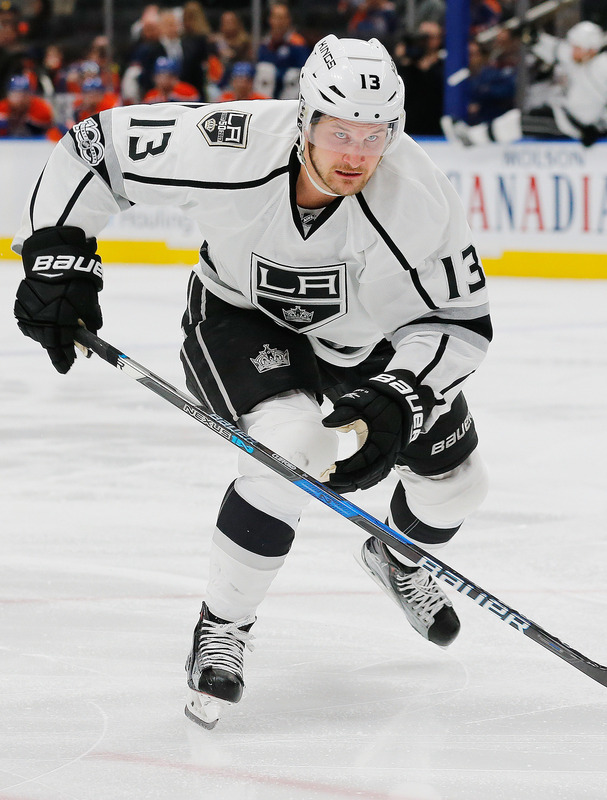 The Los Angeles Kings also announced they have recalled forward Austin Wagner from the Ontario Reign of the AHL. Wagner, who was assigned to Ontario on Friday, will return, likely due to possible extended injury to Kyle Clifford, who went down Saturday after taking a hit from Vegas’ Pierre-Edouard Bellemare. The 21-year-old has played in 18 games for L.A. with a goal and four points. The New York Islanders have returned Christopher Gibson to the AHL, now that goaltender Robin Lehner has returned to action. In a corresponding move, the team announced that young forward Josh Ho-Sang has been recalled from the Bridgeport Sound Tigers. Ho-Sang has been on a shorter leash under new head coach Barry Trotz and GM Lou Lamoriello and has yet to make his NHL debut this season. He has been very productive in the minors with 22 points in 26 games (albeit with only a pair of goals) which marks a greater scoring clip than his previous two seasons in Bridgeport. However, his scoring pace has not translated to the Islanders in the past and is unlikely to do so this time around. Another unsuccessful call-up for Ho-Sang could lead to the end of his time in New York, as quite a few teams would be interested in providing him a change of scenery. Riley Barber is on his way back to Hershey, as the Washington Capitals announced that they have reassigned the young forward. Barber is second in scoring for the Bears with 18 points and hoped that he had earned a chance to suit up for the Capitals. Instead, Barber did not see any action on his recall and still has just three NHL games under his belt in four pro seasons, despite good production in the AHL. The Calgary Flames announced they have recalled enforcer Anthony Peluso from the Stockton Heat of the AHL. He was a scratch last night for Stockton and it is believed he will be active for the Flames’ Battle of Alberta with the Edmonton Oilers to add a little grit to their lineup. Peluso has appeared in three games with Calgary this year, but has averaged just 4:40 of ATOI. He had played 16 games for Stockton with one goal, three assists and 29 penalty minutes. The team has sent forward Ryan Lomberg to Stockton to complete the roster move, according to Sportsnet’s Pat Steinberg. Lomberg who received an automatic one-game suspension for instigating a fight with five minutes left in a game on Thursday against Minnesota, got an extra game from Department of Player Safety the following day. He sat out Saturday’s contest and will have to sit out another contest whenever he is brought back to Calgary. The Minnesota Wild announced good news that veteran forward Mikko Koivu, who was injured in Thursday’s game when he was kneed by Calgary’s Mark Giordano, will only be out day-to-day. That’s a best case scenario as many had projected he may miss as much as three to four weeks. To fill in for Koivu in the meantime, the Wild announced they have recalled forward Luke Kunin from the Iowa Wild of the AHL. Kunin, the team’s 2016 first-round pick, has been playing in Iowa in hopes to getting his game up to speed after undergoing ACL surgery last season. The 21-year-old has fared well in the AHL as he has eight goals and 15 points in 21 games. After another humiliating loss last night, an 8-5 drubbing at the hands of the Vancouver Canucks, the pressure on the Boston Bruins has been ratcheted up even higher. The team is falling short of expectations so far this season due to a total lack of secondary scoring. While speaking on the topic, Sportsnet’s John Shannon reports that the team feels they have too many of the same style of player among their secondary scorer. Shannon is likely referring to young forwards Danton Heinen and Anders Bjork, who have both underwhelmed in middle-six roles, and potentially AHL options Trent Frederic and Jakob Forsbacka Karlsson, as well as the possible similarities between veterans Joakim Nordstrom, Chris Wagner, Sean Kuraly, and Noel Acciari. Shannon states that the team is not happy and that a trade centered around one of their redundant forwards in exchange for an established young forward is likely coming soon. Shannon also states that the Los Angeles Kings are not done making moves after firing head coach John Stevens. However, Shannon reports that the team is waiting to pull the trigger until their trade candidates can repair their market values. With the team struggling so severely to begin the campaign, the Kings would be trading the majority of their players while their stock is at its lowest. This is particularly true for the likes of struggling Tanner Pearson and ineffective Kyle Clifford. Once L.A. can string together some strong outings and potentially see some improvement from Pearson, Clifford and other names out there like Alec Martinez, Jake Muzzin, and Tyler Toffoli, they should become active players on the trade market. During the latest “Insider Trading” segment on TSN, Pierre LeBrun confirms that the Carolina Hurricanes are interested in more than just William Nylander. LeBrun says that the Hurricanes are worried about their scoring abilities and want to add a top-six scorer. Nylander is surely Carolina’s favored target, but they are looking elsewhere for help as well. The Hurricanes were recently rumored to be shopping young forward Valentin Zykov and, like the Bruins, may be looking to use his upside to swap for a more established young forward. The Department of Player Safety has been busy so far this year, and today handed out their latest punishment. Los Angeles Kings forward Kyle Clifford has been fined $4,301.08 for kneeing Jordan Greenway last night. That was the maximum allowable fine, but Clifford will avoid suspension altogether. Clifford stuck out his leg to trip Greenway in the middle of the ice and was penalized for it, and the fight that followed with Nick Seeler. Though it won’t go down as a suspension, Clifford will be considered a repeat offender if anything else happens in the next 18 months. That means any supplementary discipline will end up costing him much more salary, and this fine will be taken into account for the rest of his career in any decisions from the Department of Player Safety. Really, it means that the Kings forward will need to avoid any suspect incidents or face increased punishment. As for Greenway, he suffered no major injury on the play and was sent to the AHL for the next few games to get his play back on track. He’ll be back in Minnesota for their road trip next week. Poll: What’s Next For The L.A. Kings? The Los Angeles Kings entered the 2018-19 season with high expectations, at least in-house that is. After landing prized veteran forward Ilya Kovalchuk and getting Jeff Carter and others back to full strength, the Kings and many of their fans and pundits felt that this was a team that could truly contend for the Stanley Cup. Today, L.A. lost 5-1 to the Buffalo Sabres. On Thursday, they lost 7-2 to the New York Islanders. That’s a combined 12-3 result against two non-playoff teams from last season. The Kings are currently 2-5-1 and suffering through a four game losing streak with a combined score of 21-5. The team is 30th in goals per game and 27th in power play efficiency, continuing their scoring struggled from last season. Except now they are 23rd in goals against per game and 24th on the penalty kill, struggling to prevent goals for the first time in recent memory. The problem is not anything short-term. Yes, Dustin Brown has yet to play this season and Jonathan Quick has missed time. Yes, Anze Kopitar, Tanner Pearson, and others will surely improve their production. However, these minor fixes are not solving the major problems. Beat writer Jon Rosen reports that this has become increasingly clear to those in and around the organization early on this season. The team held a closed-door meeting after the game today, not long after defenseman Jake Muzzin told the press that the team plays without a passion to win and have “accepted being okay”. For his part, Rosen believes that the problems with the Kings may be more connected to what Muzzin stated, calling them “abstract issues” such as “identity and culture”. Helene Elliott of the LA Times gives a more tangible opinion of the team’s shortcomings, blaming management for relying too much on an aging core from the team’s 2012 and 2014 Stanley Cup runs. Meanwhile, the pace of the game has passed up that core, as youth and speed now dominate and the Kings instead rely on experience, structure, and a more old-fashioned style. Even those old hallmarks have begun to crumble, as the team has failed to find suitable secondary scoring and locker room leadership to support their struggling core. So what next? There’s no easy answer. If playing style and leadership is what the team truly feels is their biggest flaw, perhaps head coach John Stevens needs to be replaced. If the core that the team has trusted in for so long is no longer up to snuff, the Kings could take a look at the trade value for a Muzzin or a Carter. Maybe the biggest issue is simply a lack of secondary support. Could the team simply replace aging checkers like Trevor Lewis and Kyle Clifford with young scoring prospects or trade acquisitions? Could the team get a good return for Pearson, who is beginning to look like a player who needs a change of scenery? Or maybe this is a problem with an internal solution if, as Rosen believes and Muzzin all but confirmed, this team is in need of an attitude shift and a dose of reality. Is this scenario reconcilable without major change, though? The Kings are built like a perennial contender, with several expensive long-term contracts and even role players with lengthy contracts. The only problem is that they are built to win in a game that has passed them by and their current roster looks far from contending any time soon. Something needs to change. So what will it be? Navigating the Salary Cap is probably one of the more important tasks for any general manager to have. Teams that can avert total cap chaos by walking the tightrope of inking players to deals that match their value (or compensate for future value without breaking the bank) remain successful. Those that don’t see struggles and front office changes. PHR will look at every NHL team and give a thorough look at their cap situation heading into the 2018-19 season. This will focus more on those players who are integral parts of the roster versus those who may find themselves shuttling between the AHL and NHL. All cap figures are courtesy of CapFriendly. With a franchise filled with veteran contracts, the team has been forced to slowly integrate some youth onto the team. What the team has recently done successfully is signing several undrafted collegiate free agents, including Iafallo, Brickley and Rempal. Iafallo made the Kings’ team out of training camp after four years at the University of Minnesota-Duluth and even started on the team’s top line, posting nine goals and 25 points. This year, the team has the same hopes for Brickley and Rempal, two of the top college free agents, who each signed earlier this year and have solid chances to make the club out of training camp. 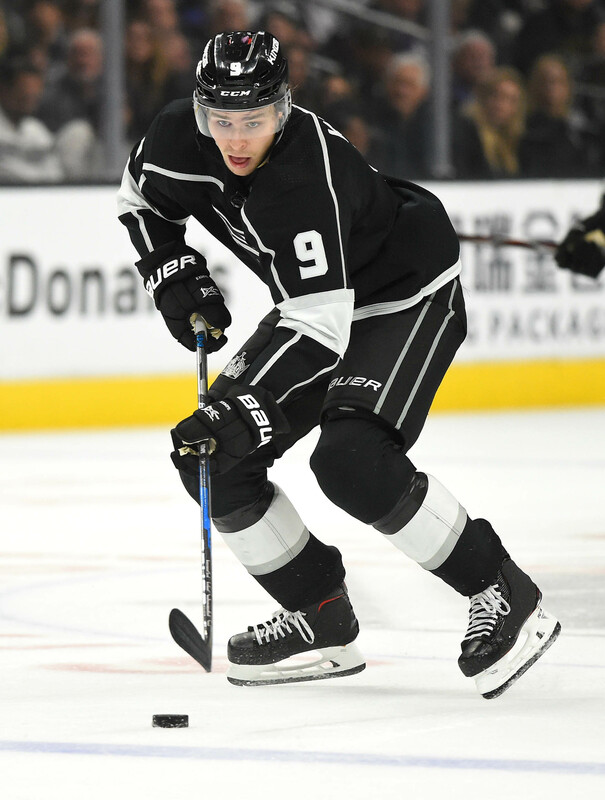 The team also have high hopes that Kempe can continue to develop into a top-six forward after finally breaking into a full-time role with the Kings this year. The 21-year-old 2014 first-round pick posted 16 goals and 37 points last year and could be primed to take that next step next season. Vilardi, the team’s 2017 first-rounder, might have made the L.A. team last year if he hadn’t suffered a back injury at the end of the 2016-17 season. He missed half of last season, but still posted solid numbers in junior on his return, posting 22 goals and 58 points in just 32 games. He could easily win a bottom-six role immediately and work his way up the depth chart as the season rolls on. The team has few contracts that they have to worry about among non-entry level deals. Fantenberg may be the most intriguing of the bunch as the 26-year-old defenseman showed some offensive potential in limited action after coming over from the KHL last year. While he played in just 27 games last season, he posted 13 points and managed to play a significant role in their four-game playoff series with the Vegas Golden Knights. Other than Mitchell, who came over from Mitchell, all are unrestricted free agents and will have to prove their value to get a new contract in the future. Toffoli posted solid numbers for the fourth straight year, putting up 24 goals and 47 points as he enters the second year of a three-year, $13.8MM deal. The 26-year-old flashed some offensive potential two years ago when he scored 31 goals. Hoping that he might build on that number, Toffoli has scored just 40 goals in the past two years, so the team hopes he can return to an elite level soon. Muzzin is a solid top-four defenseman on a team that is loaded in defense and proved his value by putting up a career-high in points with 42, despite missing eight games last seasons. The majority of the team’s significant contracts are three years and above and the team added a critical addition in the offseason when they won the Kovalchuk sweepstakes as he chose Los Angeles over a number of other teams to sign a contract with. Many believe that Kovalchuk only signed with L.A. because they were the only ones to offer three years to the 35-year-old winger, but Kovalchuk adds a new element to the team’s top line as he made it clear that he wanted the opportunity to play next to a top-line center. Kovalchuk, might not produce the type of numbers he did five years ago when he was with New Jersey, but Kovalchuk is still expected to post at least a couple of 20-goal seasons for the Kings. He did score 63 goals in his last two seasons in the KHL, so his abilities remain high. While the Kings took on the contract of Phaneuf in order to unload Marian Gaborik, the team may have got an overpaid player in Phaneuf, but they have a player who can play in the top-four still and immediately provided the team with some quality defensive play upon joining the team. He may no longer have the elite skills of a top-pairing defenseman, but he’s still good enough to provide important depth. Martinez has also been one of the team’s top defenders even if his offensive output went down this year. After two season with at least 30 points, he dropped to just 25 points last year. However, his defensive presence and more importantly his shot-blocking skills have been key for the Kings. He blocked a career-high 206 shots last season. The Kings handed Pearson a four-year, $15.MM deal after last season when he had a breakout season, scoring 24 goals in the 2016-17 season. Before that he had just 27 goals over his first two years. However, he regressed last year, finishing the season with just 15 goals. The team will need more out of the 26-year-old if they want to keep their success going. 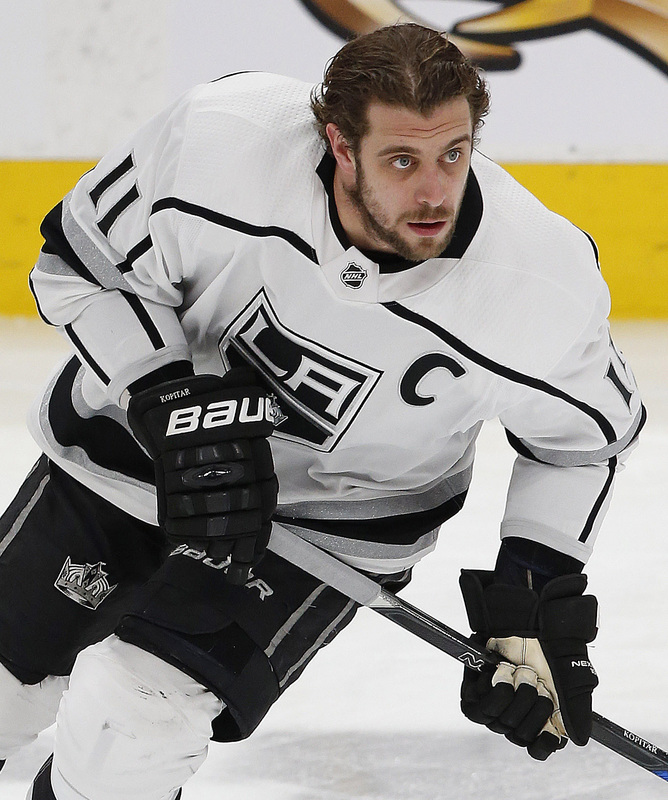 Kopitar, who inked an eight-year, maximum extension back in 2016, continues to prove his value to his contract as he posted up career numbers last year. The 30-year-old who once posted 81 points for the Kings back in the 2009-10 season, finally broke that career-high this year with a 92-point season, including a career-high 35 goals. While few people believe that Kopitar can repeat that type of success a second straight year, Kopitar should be good for 70-80 points and is likely going to be playing with Kovalchuk at his side, which can’t hurt his numbers. Doughty just signed an extension of his own this summer. While he’ll make a solid $7MM next season, that number bumps up to a team-high $11MM for the next eight years after that. The extension came at the right time as the 28-year-old posted a career-high of 60 points last year, but an eight-year deal now will run until he’s 36 years old, which could hurt the team’s long-term outlook. The 33-year-old Brown finally had a big season for the club. He scored 28 goals. However, Brown hasn’t tallied that many goals since the 2010-11 season. In fact, his goal numbers have decreased since then as he went from 28 to 22 to 18 to 15 to 11 to 11 and then to 14 in the 2016-17. To assume that Brown, who is in the middle of an eight-year, $47MM deal, can repeat those goal numbers after five years of mediocrity is unlikely. Carter, however, may be the opposite. The 33-year-old suffered a severe cut to his left leg that forced him to miss all, but 27 games of the season last year. He still managed to score 13 goals upon his return, but Carter should return to his standard numbers this season as he’s tallied at least 24 goals over the previous five seasons. Quick bounced back after an injury-plagued 2016-17 season. As goaltender salaries continue to rise in the NHL, Quick is proving to be one of the best deals in the NHL at $5.8MM, which is right in the middle of NHL goalie salaries. Quick posted a 2.40 GAA and more importantly a .920 save percentage in 64 games. The team is so confident in his health that they traded solid backup Darcy Kuemper to Arizona and are using Campbell as their backup. The team even has a top goalie prospect in the wings in Cal Petersen, but it’s unlikely that Quick will give him an opportunity to do more then eventually be a backup. The Kings are obviously hoping that the addition of Kovalchuk will push the Kings from a playoff team into a Stanley Cup contender, but they are also battling with time as much of the team is over 30 years old now. Even Kopitar has hit 30, suggesting that time is not on their side for very long. Add in that many of those mid-30 players are on long-term deals and the team will have some trouble adding too much more help, which will force them to look at youth. With a little luck a player like Vilardi or one of those college free agents can help, but so far they have had little help.